At McKeefry Dental we offer a range of orthodontic services including full term dental braces. Our leading full term braces uses advanced orthodontic tools specifically developed by the ‘Progressive’ orthodontics program. With the Progressive ‘Individual Patients’ (IP) orthodontics program, instead of a 'one size fits all' approach used in typical straight wire appliances (dental braces), we customise your braces and wires. Since the braces have been specifically made for you, a faster and more effective treatment can be expected. A fully customised solution - tailored specifically to address your individual dental requirements. 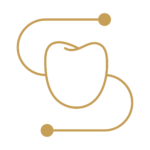 A treatment plan designed utilising leading computer-generated orthodontic technology. Faster treatment resulting in reduced treatment time. Greater comfort, as your braces and wires are customised to you. With our customised program you will experience less wire changes, reduced pain, and irritation. Suitable for all ages including children, teens and adults. Ideal treatment of a wide range of conditions including: crowded teeth; widely spaced teeth; overbites, underbites, and open/closed bite conditions; and misaligned teeth. Be assured, with our full term dental braces, we offer the ultimate in orthodontic personal care and support. Over your treatment period, we will guide you through the process in a structured and care-focused manner. To ensure a successful result, we take the time to explain to you all the key steps in a clear and succinct manner, and talk to you about your at home care requirements. It's all part of our promise to provide a leading cosmetic dental and orthodontic service. The difference with full term dental braces and short term dental braces (or “fast braces’) is that only part of the problem is treated. This is generally only offered as a possible solution to adult patients and is more an alternative to veneers than full braces. Often times a patient’s bite can be far from ideal, but the only thing that bothers them is a few crooked front teeth. So long as the patient fully understands the limitations of treatment, then short term dental braces may be an appropriate option for them. So instead of correcting the bite and aligning the teeth as with full term dental braces, just the front alignment is done therefore the treatment is completed faster and for a lesser cost. Again this is discussed with you at the pre-treatment consultation. The short term dental braces process is essentially the same as our full term dental braces (see above). At McKeefry Dental we take the time to diagnose the exact requirements for your dental braces. 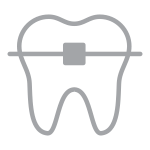 As part of our fully tailored solution, each tooth is individually assessed to determine the optimum bracket and overall archwire design for you. We know this level of attention is critical to determining your optimum treatment plan. At our practice we use the latest in orthodontic technology to create the optimal treatment plan. With computer aided diagnosis, we can accurately predict your teeth's path to its final position, thereby shortening your treatment time and reducing unexpected tooth movements. To ensure successful results, we analyse every detail before the treatment plan commences and we interpret potential problems before they happen. Some of the technologies used in determining the appropriate treatment path include digital cephalometric analysis, model measuring, and visual treatment objectives. Brackets specific to each tooth and custom welded bands. Archwires selected specifically for your facial characteristics and required tooth movement patterns. Long acting nickel-titanium springs and wires which extend the time between treatment visits. Treatment with the IP Appliance® has been shown to be months faster than the current straight archwire appliance treatment. However, it's important to note that treatment time varies significantly by severity, age, and anatomy. We can give you a guide on your likely treatment time at your initial consultation. Since your braces and wires are customised to you, one of the key benefits you will experience include less wire changes, reduced pain, and irritation. Following on your initial consultation, we will collect dental records (photographs, teeth scans, digital skull x-rays etc.) which will be used to plan your treatment. A full consultation is advised to run through detailed treatment options, times, fees and payment options. At this session we will discuss: the approach we recommend, your treatment schedule, and likely outcomes. We will also show you the predicted outlines of your front teeth. At the end of this session we can provide you with estimate costs for your full treatment. Once you have approved to proceed, we will arrange an initial appointment where we ascertain the size requirements for fitting your bands, brackets, and archwires. This appointment usually takes 30 mins. Your next appointment, approximately 2 weeks later, is for fitting your full term dental braces. This appointment usually takes 1 1/2 – 2 hours. Future appointments are then scheduled, approximately every six to eight weeks. At each of your regular appointments we review progress to date, fit new wires, and assess any other mechanics that need to be instigated. These appointments usually take 15 – 45 mins. 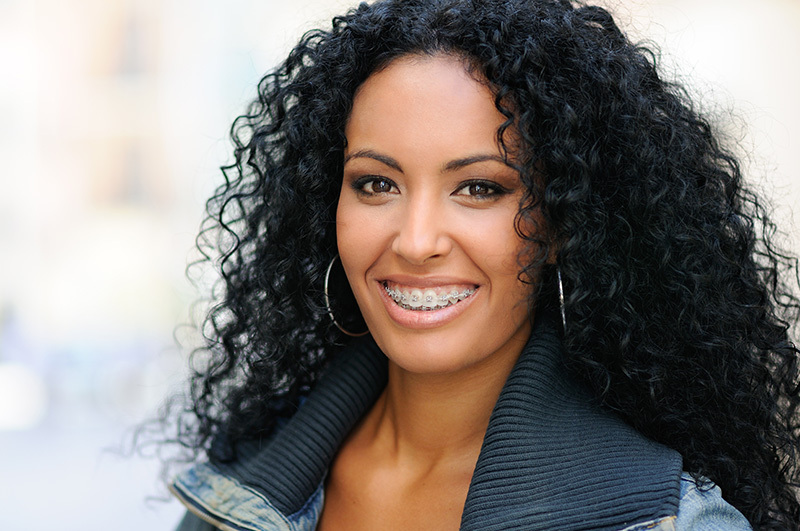 Once you have completed wearing your braces we will fit you with your required retainer/s. These retainer/s often just need to be worn at night, to ensure you retain the position of your teeth. Orthodontics/braces are somewhat tricky over the holidays as most general dentists are not equipped to help with difficulties with braces. We've prepared a little braces emergency guide for you. You can download your copy here. Or you can read more about what to do if you have an emergency with your braces on our blog. Enjoy a complimentary orthodontic consultation (valued at $95)**. Click here to book your free orthodontic consultation today to find out what results might be achievable for you. about our your suitability for braces please Contact Us. What Is Individual Patient (IP) Orthodontics? How Does IP Orthodontics Differ? The focus of this treatment is all about tailored, individual solutions, customised to deliver optimal results. This customised approach results in faster, more consistent treatment results. Brackets specific to each tooth. Archwires specific to your facial characteristics and tooth movements. Integral to our treatment programme is our specific computer aided diagnosis. Through using our leading computer diagnosis tool, we determine the best brackets and wire combinations specific for your treatment requirements. How Long Will Full Term Braces Treatment Take? Treatment is dependent on the severity of each individual patient's orthodontic issues. Treatment may vary from anywhere between six months to three years with an average treatment taking around 18 to 24 months. Treatment with the IP Appliance® has been shown to be at least 6 months faster than the traditional straight archwire appliance treatment. Do I Need to Continue to Wear the Braces After My Teeth Appear to Be Straight? Yes you do. While your teeth may be visually straight in 2-6 months, it is very important to continue to wear your braces and complete your treatment correctly following the appearance of straightened teeth. This is often because the roots of your teeth move slower than the visible parts of your teeth. We can guide you on the length of time that braces will be required to be worn after the initial appearance of your straightened teeth. Is There Improved Retention with This Approach? Retention is improved significantly by straightening the teeth more effectively, earlier on in the treatment plan. With our customised approach your teeth are straightened to their final positions earlier on and as a result have an improved capacity to retain in that position. Yes. Once your treatment is completed (Full or Short Term Braces), and your dental braces are removed, you will be required to wear a retainer. By wearing a retainer at a consistent level, it will ensure your teeth remain in their adjusted position. Do the Braces Have To Be Metal? Often they are. For full term braces we generally fit and use metal braces. These are recognised as the most efficient. However, if appearance is important to you we are able to offer cosmetic brackets. Please feel free to discuss this option with us. Treatment fees are usually similar to that of wearing traditional braces. At your initial consultation we can happily discuss with you your cost of treatment and our payment options. How Long Is the Initial Consultation Appointment? Your initial consultation, which is complimentary, is approximately 15 mins, and at this consultation we take the time to discuss your concerns while broadly outlining options, costs and procedures. 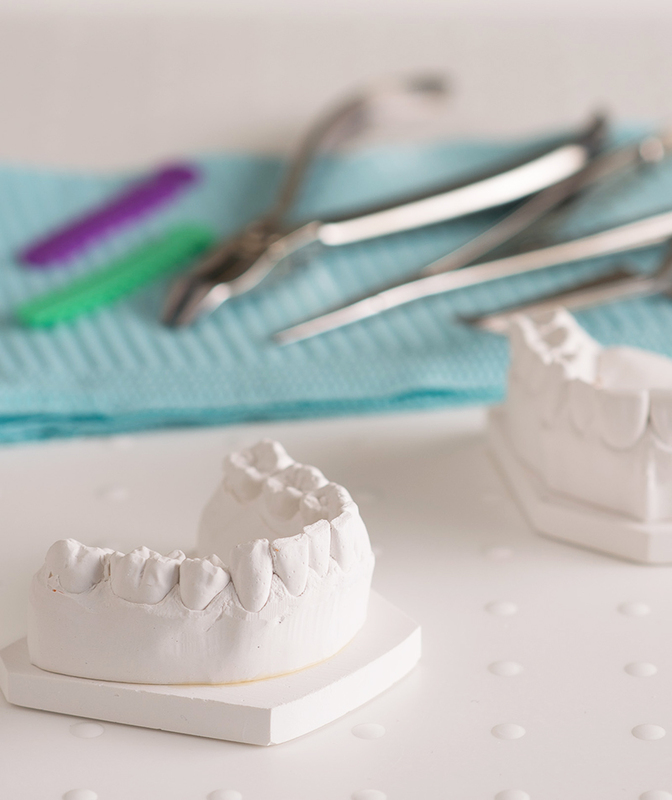 If you decide to proceed with the next step, an appointment can be scheduled to collect dental records (photographs, teeth scans, digital skull x-rays etc.). Following that a full consultation is advised to run through detailed treatment options, times, fees and payment options. How Long Has This Method of Treatment Been Used? founded in 1985. Dr Donald McGann released the IP Appliance® in 2003. McKeefry Dental is one of the few dental practices in Wellington using this leading orthodontic technology. What Are Short Term Dental Braces? Short Term Dental Braces (also referred to as “Fast Braces”) offer an alternative approach of treatment for addressing a number of common teeth alignment and teeth placement conditions. Short Term Braces are mainly used in situations which predominantly involve alignment or movement of the front and side teeth. For more major teeth alignment conditions Full Term Dental Braces may be required. This method of treatment is also mainly suitable for adult teeth. What Are Short Term Braces Made of? Our Short Term Braces are made of metal or teeth coloured materials which are fitted to your teeth. High tech archwires are also fitted to assist with moving the teeth to their desired position. How Long Will Short Term Braces Treatment Take? Treatment is dependent on the severity of each individual patient's orthodontic issues. Treatment may vary from anywhere between 4-12 months with an average treatment taking around 6 months. What Is the Likely Cost of Short Term Braces? The overall cost of treatment is likely to be cheaper than standard Full Term Braces due to the reduced time and number of treatments needing to be undertaken to achieve the desired results. At your initial consultation we can happily discuss with you your cost of treatment and our payment options.